GCI offers qualified Inspectors using a standardized process to deliver a professional quality inspection each and every time. 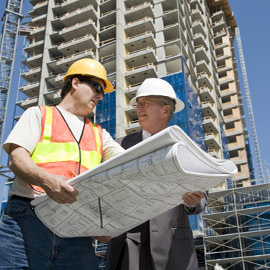 Granite Construction Inspections (GCI), a subsidiary of Granite Loan Management, is the industry leader in providing quality and timely construction inspections. With a national network of over 5,000 qualified inspectors, GCI acts as the eyes and ears for new residential construction and commercial construction, in addition to remodeling projects to guarantee the highest standard of service. GCI standardizes the overall inspection process. 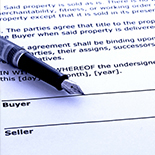 Using state-of-the-art technology, the GCI website allows inspectors and lenders to view or submit detailed reports and photographs online, in addition to offering alternative software web connectivity. Comprised of 7 key elements, GCI’s “Professional Inspection Process” assists lenders in mitigating their overall risk during the construction phase. 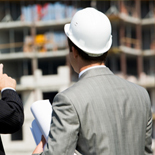 GCI Inspectors are seasoned professionals who are informed of all project details to offer consistent, timely, and dependable service no matter where the project is located. Our staff is skilled in draw management and has on-site construction training providing them with expertise to quality control each and every inspection. We maintain a 48-hour turn time that includes the Inspection Site Report, Budget Report, Digital Photographs, and Invoice. 80% of all calls are answered live and all email and phone messages have a maximum 2-hour return service standard. GCI delivers a consistent, well-defined inspection process including inspection and budget reports, daily status reports, and digital photographs. Let us meet your unique inspection needs with services such as pre-scheduled inspections, modular drop coordination, and customized reporting. GCInspects.com exceeds all security requirements to enable set-up, ordering, status, photos, and delivery of all inspections and materials. GCI offers protection by performing local on-site inspections in support of every draw so the contractor doesn’t get ahead of the lender. Utilizing GLM’s construction management expertise with GCI’s inspection expertise provides a service level that is unmatched in the industry. For more information about GCI, visit www.gcinspects.com or submit a Request for Proposal for our National Inspection Services. Contact Us directly via email or toll free at 1.866.380.9504. If you are a GCI Inspector please contact GCI at 1.800.919.8903 or email GCI Customer Service.